Major Oak Polishing provide a wide range of spray finishing solutions. With many years of experience, we can work with virtually any substrate. Our customers include both domestic and commercial and we are happy to work on projects of all shapes and sizes. Our expert team can spray onto timber, wood, MDF, UPVC, plastic, metal and even glass. Spray finishing is a fast developing market with new lacquer technologies, colours and finish options becoming available all of the time. We ensure our team are always trained in the latest developments so they can deliver the best possible finish on all our customer’s projects. Many of the projects we carry out need to be completed on site due to the nature of what we are working with. This includes large items such as furniture or built-in features such as a bar top or staircase. We are also able to complete any repair work that may be needed prior to completing the spray finishing. This one-stop solution is a great help to many of our customers as they only need to call in one company to both repair and protect their surfaces. Some of the most popular items we are asked to work with on-site are shown below. 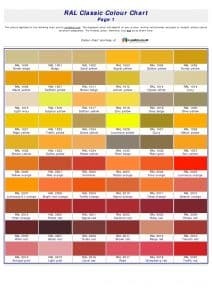 If you have an item that is not listed, please contact us to discuss your project. • Furniture -Including Tables, Chairs, Cupboards, Wardrobes and much more. Spray painting is a great solution for any wooden surface. Many people consider spray painting to be used only in commercial settings. However, it is equally suitable for a domestic environment. Whatever your spray finishing and spray painting requirements our team is happy to provide no obligation assessment and quotation. Using a spray finish on wood furniture will give your project a professional looking, smooth and consistent finish if done right. 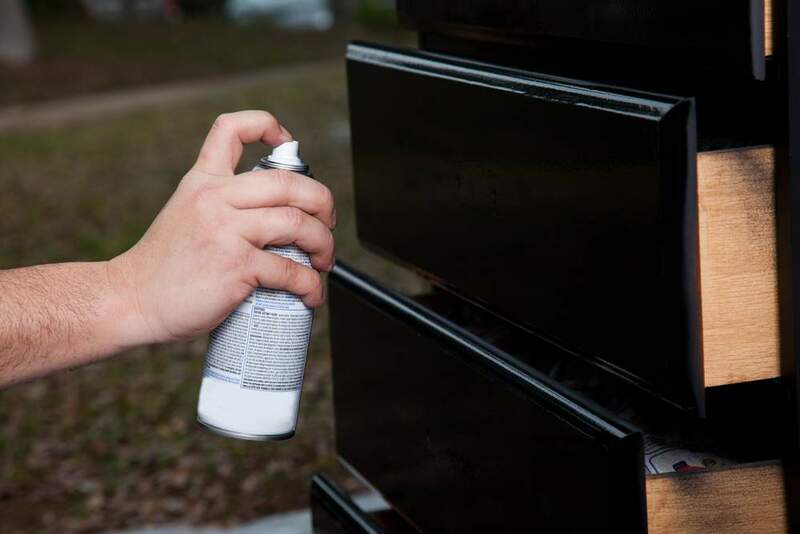 Using aerosol cans, you can quickly apply a finish that will leave your wood furniture free from brush marks. It is not complicated to obtain the desired finish, but there are techniques and tricks that we will share with you to help you achieve the best results. When you spray your furniture, the spray will create a fine mist of solvent that is toxic to breathe. It also floats through the air and settles on anything nearby. If possible, it is best to work outside. If you have to work inside, make sure you cover everything in plastic sheets or cloths. It is a good idea to wear a respirator fitted with an organic vapour filter. An exhaust fan in the window is also advisable. Always read the labels on the cans to check for any additional precautions. Spraying a thick coat over a dark stain or an oily exotic wood can result in the finish bleeding or looking grubby. This is because the solvent in the finish can dissolve the stain or colour of the wood, thereby causing it to bleed into lighter wood or go murky. To avoid any bleeding, it is best to prime the wood with a few coats of fine mist before applying the thicker finish coat. Misting dries more quickly than a regular spray, but always ensure it is touch dry before applying the next coat. When you start spraying, the first and last pump will cause splatter. It is a good idea to start and finish spraying just past the edge of your piece. To avoid product build up, you need to move quite quickly and evenly with the spray can moving past the edge each time. Make sure you spray at an even distance from the piece of furniture, not in an arc. Keep the spray at the same parallel level as you move back and forth. Also, keep the spray moving at a steady pace and apply thin layers to avoid runs. Runs may happen, if they do, don’t panic. Leave the finish to dry then scrape the run carefully with the flat edge of a razor blade, slowly shaving the run. Then lightly sand and respray as needed. Overlap each row of spray by about half the amount of the previous spray. This will ensure there is no gapping and no excess spray build up as each new row begins. If your project is a large one, it can be pretty expensive to spray the whole thing. You could reduce your expenses by applying two coats of finish will a brush and gently sand with 220 grit sandpaper. Clean off all dust before applying the final coat with spray. When spraying lacquer, you may want to use an HVLP (High volume low pressure) system rather than a spray can as the overspray is much lower. This is particularly beneficial if you are spraying indoors. Buy a spray trigger to attach to your spray can. This will help you avoid getting a sore trigger finger and is much easier to use to ensure that even spray. You can buy a spray trigger handle at most DIY stores. If you have a small project that is many-sided, you will find it easier and quicker to spray if you use a turntable. Building your own turntable is easy enough to do if you don’t have one. Use a lazy Susan mounted to a piece of plywood. Lazy Susan hardware is available at most DIY stores. Just make sure you pick up the screws required while you are there. The weather can affect the finish of your project. For example, high humidity will alter the outcome of your spray, leaving a milky finish. Obviously, if you are spraying outdoors, you don’t want it too windy as this can a) blow your spray away from your project and b) blow grit and dirt that will stick to your finish. As a beginner to spray finishing there is a lot to think about. We would suggest that you practice on some pieces of wood to get the technique right before attacking your furniture project. We would also suggest that if the piece of furniture you are attempting to finish is an antique or an heirloom, that you ask a professional to finish it for you to ensure you have the best possible result and avoid any damage to your valuable furniture. If you need any advice on which finish to use, please don’t hesitate to contact us and one of our experts will be happy to help you.